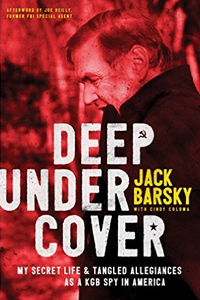 March 20, 2017 – This week, we meet a man born Albrecht Dittrich in East Germany, who infiltrated the U.S. as a KGB agent at the height of the Cold War — and in the decades since, Barsky’s life has taken all the twists and turns you’d expect from a fictional spy thriller. From ardent communist to patriotic American citizen. From unquestioning atheist, to agnostic, to the witnessing Christian he is today. Jack’s book is literally like no other. It’s titled, Deep Undercover: My Secret Life and Tangled Allegiances as a KGB Spy in America . Learn more about his story at JackBarsky.com.